General Dynamics NASSCO has been awarded a $156.5 million contract for a phased maintenance availability of the USS Essex at the shipyard in Barrio Logan. 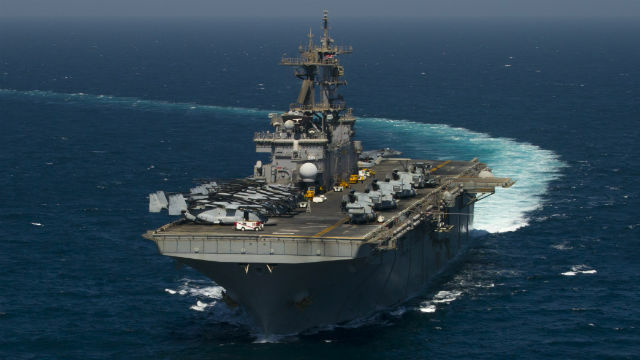 The San Diego-based Essex is the second in the Wasp class of amphibious assault ships, medium-sized aircraft carriers that support Marine expeditionary units with helicopters, tiltrotors and vertical-takeoff jets. The ship was commissioned in 1992. The work will include maintenance, alterations and modifications that will update and improve the ship’s military and technical capabilities. The maintenance will be complete by June 2017. The contract is an add-on to a previously awarded cost-plus-award-fee contract. General Dynamics NASSCO is a business unit of General Dynamics.